ADMIT. This is the application evaluation tool used by graduate departments on campus. For more information about ADMIT, click here. (Note that this website uses the Georgia Tech login service, CAS, for authentication. If you are not able to access this area, please contact your department Admit Admin have have them submit a help desk ticket. Be sure to include the first name, last name, Georgia Tech ID number, and email address of the person who needs access. BANNER 9. This is the student/applicant database where all official Georgia Tech information about both applicants and students is stored. If you do not have access to BANNER, your supervisor may request access for you by completing a Graduate Studies helpdesk ticket here. 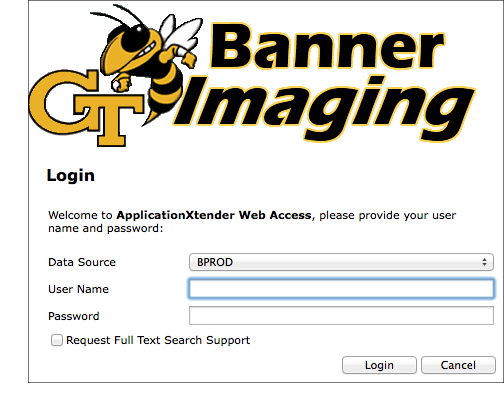 Note: When accessing Banner from off-campus, you will need to use the GA Tech VPN. Instructions for getting started with VPN may be found on the OIT website. IMAGING. This is the website that allows you to view documents associated with applicant records. (Click here for a PowerPoint presentation that provides step-by-step instructions regarding this process.) Log in to the imaging site using your BANNER ID and password. (You need a BANNER account in order to access IMAGING.) If you do not have access to IMAGING, your supervisor may request access for you by completing a Graduate Studies helpdesk ticket here. 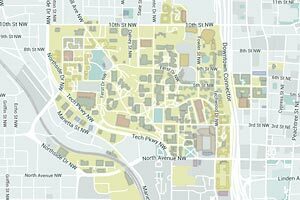 To view a tutorial of how to view imaged documents, click here.